The Mason Jar written by James Russell Lingerfelt is a coming of age love story that will stay with me for a very long time. The author’s writing style drew me in right away. I finished reading the book in one day. The story read like a long beautiful poem with vivid descriptions that made me feel like I was there in person. The story chronicles the main character Finn’s first relationship with a fellow student named Eden. Finn fell madly in love with Eden, but unfortunately, Eden did not feel the same way about Finn. Finn has a difficult time accepting that his relationship with Eden ended abruptly. As I read the story, I kept asking myself the question: What hidden message is the author trying to convey to the reader? At times, I grew somewhat impatient with Finn’s obsession with Eden. Get over her already and move on to another relationship. It took me a while to figure out the author’s intent. Human relationship is a very complex thing, and one must find closure before complete healing can begin. One can spend a lifetime wondering why a person acted a certain way, but until you take the time to find a resolution, you can waste a lot of time and energy with ill feelings of despair. I learned a valuable lesson from reading this well written book. Do not spend too much time wondering why. In the case of Finn, he could have saved himself many years of despair if he had taken the time to confront Eden on her sudden decision to end their relationship. I know right now all you can see is the pain. So, I’m not sure the words I say to you will resonate. But know that feelings just are. Experience them. Don’t deny them or push them away. If you do, it will come out through other avenues like short-tempers and sharp answers to friends and loved ones who don’t deserve to be mistreated. Understand, son, that we can only help those who have hit rock bottom when we ourselves have seen existence through that same lens. Therefore, you can use the pain you’ve experienced to ease the pain in others. Finn’s grandpa gave him solid advice that he later applied by traveling to Nairobi, Africa to help run a street children ministry. I found it very refreshing that Finn could find his calling by giving himself to service by helping the less fortunate street children in an impoverished, country of Nairobi. The lesson learned is there is always someone must worse off than you. I am hugely impressed with the fact that sales through Pepperdine University in 2012 will go to fund student scholarships to Pepperdine since the author is an alumni and wishes to give back to the school. If you are looking for a superficial Hollywood ending, this book is not for you. However, if you want a realistic ending that will make you appreciate what life is all about, then I urge to pick up a copy of The Mason Jar. I applaud Mr. Lingerfelt loudly, for he has penned a very well written book that I plan to read again and again. The Last Page in a Diary is the first historical fiction I have ever read concerning internment camps during World War II. The author chronicles the evils of placing Japanese Americans in camps during World War II. She does an outstanding job relating the story in a simple way that any child reading the story will understand what went on so many years ago. On page eleven, the author made a profound statement that made me stop to think about the evils of prejudice. “When there’s prejudice — innocent people often get hurt.” This statement rings so true to me since I have been a victim of racial prejudice, and I know how it can destroy a person, if he or she is not strong. Luckily, Yoshi (Mike) is a remarkable young lady who gets her strength from God, and that strength helps her endure the hatred lashed at her and her family. “Don’t blame the kids too much. Their parents teach them the hatred and prejudice.” Like the old adage — the apple does not fall far from the tree. People that are prejudiced had to learn it from home. Sad but very true, the only thing one can do is to find a way to not let the hatred turn you into a bitter person. I also enjoyed the Christian message the author tried to relay to the readers. Yoshi (Mike) learned to give all her cares to God even though kids from her school ridiculed and made her life difficult because she is Japanese American. Patricia Kelly (Pat) on the other hand blames God for Yoshi’s troubles. She went through a time where she loses trust in God, but in the end comes to see that God is still with her. 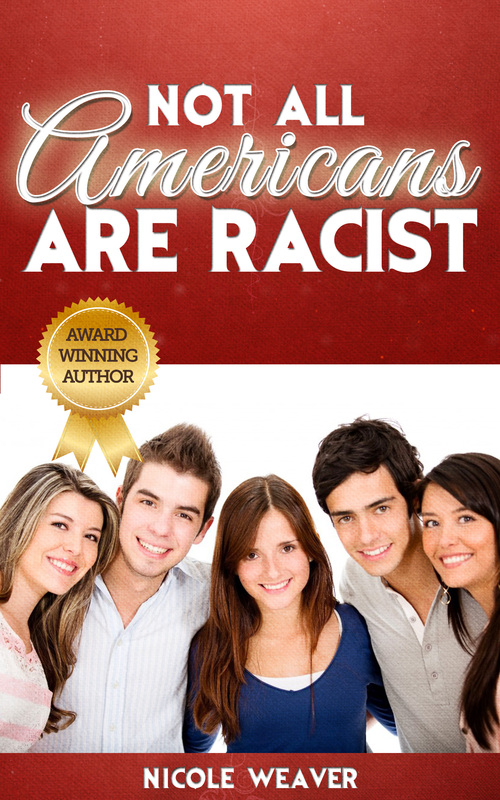 I applaud the author for writing such an important book. The only way to avoid the same mistakes of history is for authors to write and keep on writing these stories repeatedly. In my opinion, it is a good idea for today’s children to read about injustices in our past.